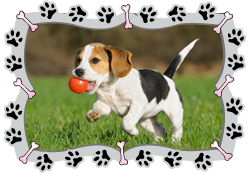 Dog Enrichment Games - Keep Your Pup Entertained! 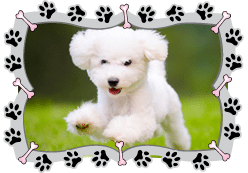 Dog Enrichment Games – Keep Your Pup Entertained! At dinnertime does your dog devours his meal within seconds of putting down his food? You are not alone; so many dogs will gobbled up their meal the moment it is presented to them. Why not make meal time more fun and engaging? 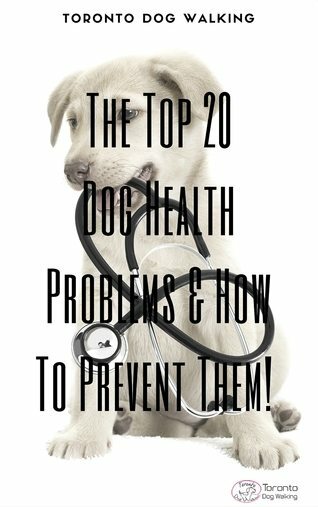 Give your pup some mental stimulation and help them solve problems to get their food. 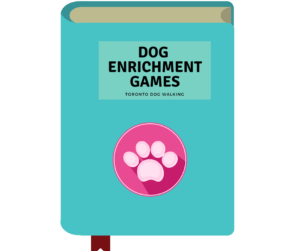 Why not increase your pups brain power every day with enrichment games; you can make your own at home which is low cost and you can make a variety of games or buy at your local pet store or online. Lets start with a fun one! If your dog likes balls then he will love the Cupcake Game. 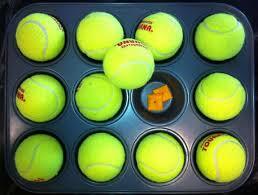 Place kibble or treats in 3 or 4 or the of the cupcake cases then place all tennis balls in each cupcake holder so it looks like this. Place the game on the floor and present it to your dog. 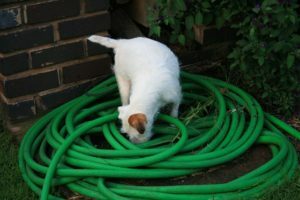 Let your dog investigate and see if he can figure out what he needs to do to get the treats. If he does not understand the game you can take a show him where one of the treats are hidden and then place the ball back over the treat so he knows how to get it. He won’t be long figuring out the rest! It may take a week or so to build up your collection of holders to make this game. 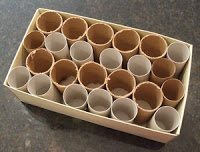 With the empty shoe box you will need to fit as many as possible toilet roll holders into the shoe box. They need to fit tightly into the box as seen in this picture. Place treats into about a fifth of the holders you have in your box. Place the box on the ground and show it to your dog. Your dog may need some encouragement so you can always show your dog the treat and then drop one of them into the holders. He won’t be long before he’s pulling out the holders to find the treats. 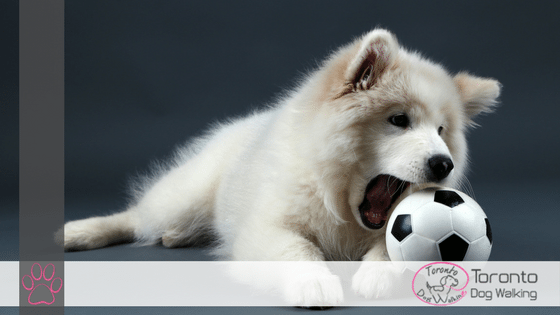 Your dog will need to know sit & stay or down & stay for this game. With your dog in a sit/stay; show your dog the treat take a few steps forward and place the treat on the ground then ask your dog to ‘find it’. 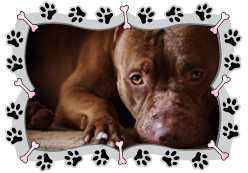 Your dog should go straight to the treat and rewarded. Repeat this step until your dog gets an idea of how to play the game. Once your dog has an idea of how to play the game start pretending that you are putting treats on the floor in 3 different spots that he can see you (while he is in a sit/stay) and the treat is only placed in one location. Ask him to ‘find it’ and he will need to find where the treat is actually placed. How to increase the difficulty; place treats on objects such as under a plastic cup, on a chair, behind a door etc. 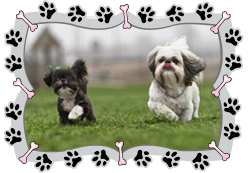 Bring this game outdoors to an off leash area where you can work with your dog alone. The fun is endless with this game! 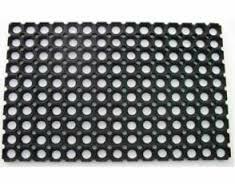 You will need to start by cutting the rubber mat to your desired size. Then you will need to cut up your fleece into strips to be able to place in between the holes in the mat. 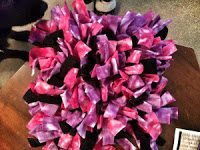 Each hole needs to be tied into a knot for detailed instructions; The Crazy Dog Mom breaks down the how to make a snuffle mat perfectly. Once you have created your snuffle mat all you need to do is spread treats or kibble throughout the mat and give it to your dog to play with. Guaranteed to keep your dog entertained as he hunts for his food. Simple & Easy; all you need to do is place the kibble or treats inside the bottle and close the lid. Place the bottle on the ground and your dog will need to push the bottle around to get the kibble to fall out of the opening. An old trick that even Humans play. Your dog will need to be in a sit/stay. Start out using just two cups, place a treat under one of the cups; move the cups around then let your dog figure out which one has the treat underneath it. Increase the difficulty by incorporating more cups. This is a great game to play with your pup and increase your bond and it takes both of you to play this one. We would love to see some pictures of your dog with their homemade enrichment games, please share them with us on social media!